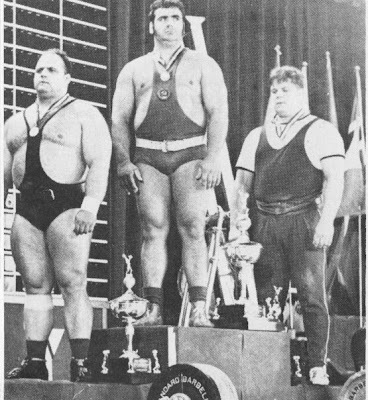 For many bodybuilders strength is simply a means to an end – a by-product of larger, shapelier muscles. For the strength athlete, powerlifter, Olympic lifter or power bodybuilder, however, it’s the alpha, omega and everything between. Sure, you might gain plenty of muscle to go along with your strength, but that’s not what really matters to you. Strength is everything. Thumb through any recent muscle mag and you’re guaranteed to find articles on nutrition, training and supplementation for gaining new muscle size. You probably won’t find much, if anything, that deals with pure strength training, though. And that’s a real shame. What follows is a strength program geared toward increasing your numbers on the three powerlifts. It’s aimed mainly at lifters who train mainly for strength; however, if you crave muscle before strength, you won’t be able to deny the benefits of strength training on the big three lifts for adding muscle mass that’s as powerful as it is large. This program includes two cycles. Use the first one for at least 8 weeks before switching to the second. This is a 3 days a week program. You train each of the major lifts – and the assistance exercises – once a week and take a day off between sessions. Just make sure you take two days off after your final session of the week. The first session of the week works the squat and the muscles associated with it. You focus on increasing your strength through heavy neural training – performing 1 to 5 reps with 80 t0 95% of your one-rep max, and explosive neural work with lighter loads. Bottom Position Squat – 5-6 sets of 2. You start the session off with increasingly heavy doubles until you work up to two all-out reps on your last set. Start the lift from the bottom position, no partial reps. Even if you’ve been going deep on traditional squats, you’re going to be surprised how hard it is to do the lift when you begin from a dead stop at a deep position. Just remember – the harder you work, the more you’ll gain. For your first set use the empty bar for 2 reps. After that add weight on each successive set until you reach the maximum you can handle for 2 good reps. Take long rests between the last sets and try for a new record one the last one whenever possible. Explosive-rep Squats – 9 sets of 3. After you’ve recuperated from your heavy bottom squat doubles, perform regular squats with a weight that’s approximately 50 to 60% of your one-rep max. Lower the weight for a count of two seconds, and then explode out of the hole as hard and as fast as possible. Perform 3 sets with a medium stance, 3 sets with a close stance, and 3 sets with a wide stance. Rest no more than 2 minutes between sets, less is better. Remember – slow down, explode up. Think of yourself as a spring being compressed and let loose. Front Squats – 3 sets of 6. Take another rest after completing the explosive-rep squats and move on to front squats and move on to front squats. Use a heavy weight on these, one with which it’s nearly impossible to get six reps on the first set. Once you can perform 3 sets of 6 reps with the same weight, add poundage at the next squat workout. Weighted Crunches – 3 sets of 10. If you want a strong squat, it’s vital that you have strong abdominals. Use as much weight as possible; your goal is to reach muscular failure on the 10th rep while maintaining good form. Flat Bench Press Complexes – Superset – 3 sets of 2x90% 1RM / 3 sets of 2x60% 1 RM. Warm up on the flat bench press with several progressively heavier sets of two reps. Once you reach a weight that’s approximately 90% of your one-rep max, perform 1 set of 2 reps. Strip some weight off the bar so you’re down to 60% of one-rep max and immediately do another set of 2 reps. Pause for one second on your chest and then explode to lockout. After the first complex set rest 4 to 5 minutes and repeat, continuing until you 3 complex sets. Shoot for 2 reps on each 90% set. Once you can manage the 2 reps on all 3 sets, add weight at the next workout. Close Grip Bench Presses – 3 sets of 5. After your last explosive bench set take a good rest, then load some weight on the bar for your next exercise, the close grip bench press. If you feel warmed up, jump directly into your first heavy set. If not, perform 2 progressively heavier fives, building up to your work-set weight. It should be extremely difficult to complete 5 reps, but you should get them. On the next two sets you will probably drop by one rep each set. Stick with the same weight at each workout until you can do 5 reps on all 3 sets. Lying Barbell Extensions – 4 sets of 8. Once you’ve completed the close-benches take a good rest and prepare for some direct triceps work. Most people’s weak link on the bench press is triceps strength and power. For that reason you do lying extensions before shoulder work. Pick a weigh that you’d usually use for about 10 reps and go for 4 sets of 8, resting no more than a minute between sets. Narrow Grip Dips – 4 sets of 8. Rest a few minutes and perform 4 sets of 8 with no more than a minute’s rest between sets. Plate Front Raises – 3 sets of 15. Grab a 45 lb. plate, or whatever you can handle for the required reps, and grind out 3 sets of 15 reps to strengthen your front delts. Standing Presses – 3 sets of 10. You won’t be performing bench work for another week, so there’s no reason to hold back on these. Work hard. At your final session of the week before two rest days, you concentrate on strengthening your deadlift, though it works the muscles associated with the squat as well. You also get the benefits of heavy lat work which will help strengthen the bottom portion of your bench press. Deadlifts – 2 to 6 sets of 1. 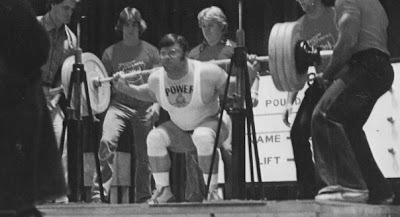 This highly effective method of training deadlifts has been around for many years and was favored by such old-timers as Mark Berry, J.C. Hise and Doug Hepburn. At your first Day-3 session do progressively heavier singles until you reach a weight that’s approaching 90-95% of your one-rep max. Don’t calculate this, you’ll know it when you lift it. It should be a weight with which you can only get 2 singles. Add one singe at each session until you can perform 6 singles. Then add more weight at the next workout and start the process over again. Adding just one single each session may not seem like much – until you try it. Round-back Good Mornings – 5 sets of 3. In my view – and the view of others like Bill Starr – this is the best lower back exercise there is. Work this one hard, and you can bet that your deadlift and squat poundages will increase. Warm up with as many sets of progressively heavier sets of 3 as it takes, and follow with 3 sets of 3 done with your work weight. Play it on the safe side with these. If you have any back issues with round-back lifting then go with the arched-back or seated version. Bentover Rows – 5 sets of 5. Use the same warmup and work-set scheme as you did on the previous exercise, but perform sets of 5’s. As with workout 1, perform 3 heavy sets so you reach muscular failure on or around the 10th rep.
Use all-out intensity on this 3 day a week program for the recommended 8 to 10 weeks and you can expect some good gains. After that it’s time for the second cycle. This is a 4 days a week program. It incorporates heavy neural work and explosive work, as the first cycle did, but it uses varied repetition patterns and plyometrics in order to bring you additional strength on the three powerlifts. You definitely want to take two days of rest at the end of your workout week on this one. The most obvious schedule is to train on Monday, Tuesday, Thursday and Friday and take Wednesday and the weekend off. Alternately, some people find they do better if they take two days off after every two days of training. Try the first version at the beginning and determine for yourself what works best in your situation. As with any routine, make whatever adjustments are necessary to make progress. The first session of this cycle works the bench press, as well as the muscles that assist the movement, with dynamic reps.
Explosive Rep Bench Presses – 6 sets of 3x60% 1RM. Warm up with a couple of light (but not explosive) sets using an empty bar, and then a light weight that’s less than your 60% one-rep max. Load the bar with your 60% poundage and do 6 sets of 3. Lower the bar faster but under control, pause on your chest for a one-second count and then explode back to lockout. Don’t let the speed of the bar drop as the sets progress. In fact, try to increase the speed as you move up in sets. The sixth set should be as fast as, if not faster than, your first set. Rest only 30 seconds between sets. Plyometric Decline Pushups – 4 sets of 5. Perform these with your feet elevated on a bench. Explode off the floor as hard as possible on each rep. Once again, move quickly on every rep.
Close Grip Lockouts – 5 sets of 5. Get in the power rack and set the pins so you’ll be performing the last few inches of the bench press movement. Do 2 warmup sets of 5, and then 3 sets of 5 all-our repetitions. Standing Behind the Neck Presses – 5 sets of 5. Use the set and rep scheme listed for the close grip lockouts. Even though you do these from a standing position, don’t make the movement a push press. Let your shoulders perform the brunt of the work. 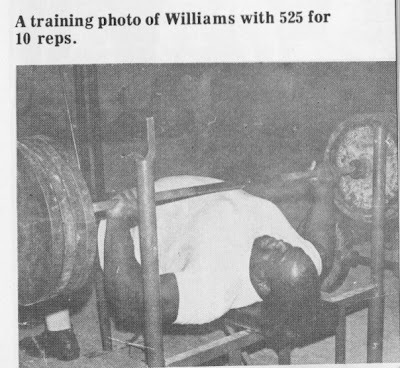 Cuban Presses – 3 sets of 10. This exercise is great for strengthening your front delts and rotator cuff muscles. To get the feel of the movement and perfect the technique, warm up with an empty bar. give an explanation of the exercise. This session works the squat and deadlift with explosive neural work as well as several assistance exercises. Alternate: Squat/Deadlift – 8 sets of 3. Warm up with progressively heavier squats and deadlifts. Once you feel your body is ready, load the squat bar with a weight you’d normally use for 6 to 8 reps. Do the same with another bar for the deadlift. Perform 8 sets of 3 on both exercises, alternating them with no more than 2 minutes rest between sets. Concentrate on exploding on every rep. Don’t worry about adding weight consistently; instead, concentrate on increasing your explosive power. It’s okay if your explosiveness starts to dwindle on the last couple of alternating sets. Just stick with the same weight until you can really power up all 16 sets. Hyperextensions – 3 sets of 20. Here’s another good lower back exercise to help strengthen your squat and deadlift. 3 sets of 20 reps should be plenty. Do these as described in Cycle 1. Bottom Position Bench Presses – 2 to 6 sets of 1. Use the set and rep scheme listed for deadlifts on day 3 of cycle 1. Make sure you set the pins as close as possible to your chest and assume the same bottom position as that used in your full bench press. Incline Bench Presses -3 sets of 3. Take a good rest after the bottom position benches. On the incline bench, perform as many 3 rep warmup sets as necessary, then load the bar with a weight you think you can use for 4 or 5 reps and perform 3 sets of 3. Close Grip Bench Press – 3 sets of 5. After a few warmup sets perform 3 hard sets. When you get 5 reps on all three sets with a constant weight, increase the poundage. Barbell Curls – 3 sets of 5. The last workout of the week is a maximum intensity lower back and leg session that utilizes different rep ranges to work the squat and deadlift, plus some assistance exercises. Squats – 2 sets of 7, 5 or 3. For this cycle you use different rep ranges during different weeks. For the first 2 weeks do 2 sets of 7 reps. During the 3rd and 4th weeks do 2 sets of 5, and on the 5th and 6th weeks perform 2 sets of 3. For the 7th and 8th weeks of the cycle go back to 2 sets of 7, using more weight than you used in the first 2 weeks. If you include a 9th and 10th week in your cycle, do the same with the 2 five-rep sets. Since you only do 2 work sets, make sure you push each one hard. Deadlifts – 2 sets of 7, 5 or 3. As above. If you prefer, perform the deadlifts first or alternate each week, however, this will have an effect on how much weight you can handle for each lift. Overhead Squats – 3 sets of 5. With the bar locked out over your head, perform 3 sets of 5 reps, squatting as deep as possible. Be sure to do a couple of warmup sets, and make the work sets WORK sets. Seated Good Mornings – 3 sets of 10. Here’s a good lower back exercise that’s not quite as intense as the three previous exercises – perfect for a finishing movement. Do them as you would regular, arched-back good mornings, but do them seated on a box or bench. Hanging Leg Raises – 3 sets of 10. Once again the last exercise is for your abs. Don’t ever skip the ab exercises as they’re essential for continued progress on your squats and deadlifts.